Tuscan cooking without olive oil? Quite unthinkable! Oil from early-picked, that is unripe olives, can be identified by a wonderfully fruity taste with a slightly spicy note. If on the other hand olives are picked around the middle of November, an aroma results which is reminiscent of plum butter. But there is no difference in the quality of the oil. The storage period of the oil also affects its taste. When the colour of the oil becomes clearer and more yellow in the spring of the year after the crop, the taste achieves a milder and more balanced note. 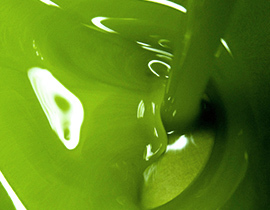 The quality of our olive oil gains not least from the fact that we use no chemicals. We are indeed most fortunate that the altitude of the farm (about 500 m. a.s.l.) is such that the olive fly can hardly do any damage. Thus we have no need to treat our fruit with pesticides. 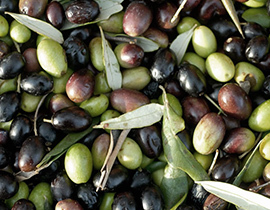 Whoever has harvested olives by hand will know that good olive oil is a very precious commodity. In the area around Pienza olive trees have been planted in the old style, and the fruit can be therefore only picked by hand. 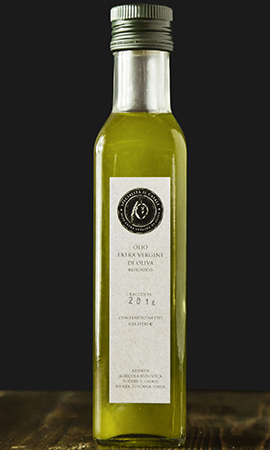 It is a further advantage for the quality of our oil that the old olive presses have been discarded. At the expense of appearing much less romantic, the new presses in use today answer to the latest technological requirements and to our the highest expectations. The location of the olive groves. The early date of harvesting by hand. The immediate processing of the freshly gathered fruit. The knowledge and experience of the olive mill operator and the given infra-structure. The use of the cold-pressing method, whereby the limit of 30°C is not exceeded. The abandonment of the use of chemicals.